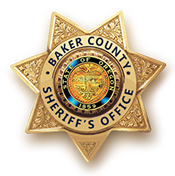 Baker County Parole and Probation, a division of the Baker County Sheriff's Office actively supervises approximately 170 adult offenders within the county. Parole and Probation has two main areas of focus. The first is to enhance public safety and the second is to assist offenders in successfully completing their period of supervision and reduces the individual's chance at reentering the criminal justice system. The division is supervised by a lieutenant and consists of three probation/parole deputies and a parole/probation clerk. PO's work diligently in supervising offenders in the community, monitoring conditions ordered by the Court and Parole Board and effecting change in the offenders under supervision. In addition to supervision, the Parole and Probation division manages an eight bed transitional house for male offenders, providing safe and sober housing for indigent offenders. Offenders placed on supervision are assessed for risk and needs. Referrals are made to community agencies for offenders to take part in different treatment programs that are proven by studies and evidence to reduce the risk of future criminal activities. Other conditions ordered are also monitored, such as community service hours and restitution for victims of crime. PO's assign offenders with community service to not for profit agencies to provide work, in lieu of payment, to fulfill the community service hours ordered. In the upcoming months, community service/work crews will be taking part in larger projects across the county. Parole and Probation also compiles a Most Wanted list of offenders who have absconded supervision. The link to this list is found on this website and two of the local papers publish a photo and identifiers of an offender weekly. This has been a very successful tool in the apprehension of offenders that have refused to comply with the conditions of supervision. Feel free to contact Baker County Parole and Probation at 3320 K Street, Baker City, Oregon 97814 (541) 523-8217 office/ (541) 524-2146 fax if you have questions.